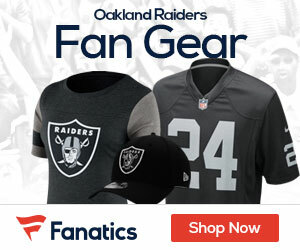 The Raiders are going to have a chat with one of the NFL’s bad boys, as NFL Network’s Tom Pelissero reports the team is going to sit down with recently released Bengals linebacker Vontaze Burfict. The meeting between the now free-agent linebacker and the Raiders could take place today in Oakland, just a day after the Bengals let him go. It would be a good fit for Burfict, a player who has had issues with the NFL over both high and late hits over the years, as Oakland defensive coordinator Paul Guenther spent more than a decade on former coach Marvin Lewis’ staff in Cincinnati, serving as the defensive coordinator from 2014 to 2017, so he knows all about Burfict. Guenther left the Bengals before the 2018 season to join Jon Gruden in Oakland as the teams new defensive coordinator.